Everyone loves watching a great movie or TV series, so we’ve compiled some of our favorite releases from the past year that just about guy will enjoy. And for more gift ideas, be sure to check out the other categories in our Father’s Day gift guide. 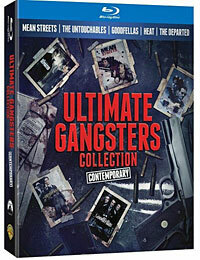 Most guys love gangster films, so it’s hard to think of a better “one size fits all” gift than Warner Bros.’ recently released Ultimate Gangster Collection on Blu-ray. Divided into two volumes, the Contemporary edition is arguably the more desirable of the pair as it’s comprised of favorites like “The Untouchables,” “Heat” and three Martin Scorsese films (“Mean Streets,” “Goodfellas” and “The Departed”). Though the Classics edition is a little more niche, you really can’t go wrong with a quartet that includes Golden Age standards like “Little Caesar,” “The Public Enemy,” “The Petrified Forest” and “White Heat.” All four films have also been remastered for their Blu-ray debuts, and like most Warner Bros. catalog titles, they look fantastic. 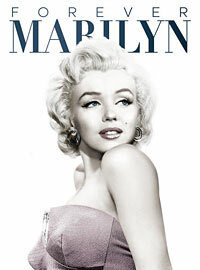 Each collection also includes a 32-page book with images and additional info on each movie, and the Classic edition comes packaged with a feature-length documentary. The best part? At $40 a pop, you’re getting some great movies at an unbeatable price. What better way to celebrate Father’s Day than with one of the coolest dads in movie history? We’re talking about John McClane, of course, even if he wasn’t exactly a very good father himself. Though Fox has released the fifth installment in the “Die Hard” series, “A Good Day to Die Hard,” just in time for the holiday, we’d actually recommend picking up the “Die Hard: 25th Anniversary Collection” on Blu-ray instead. Though the earlier films haven’t been given the HD restoration that they deserve, the set does include a nearly two-hour retrospective on the franchise titled “Decoding Die Hard” that’s definitely worth checking out. 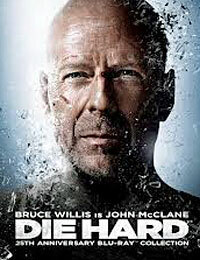 Plus, unlike the latest installment, the other four movies are all worthy of repeat viewings (yes, even the underrated “Live Free or Die Hard”), making this five-disc box set a must-have for any fan of the series, Bruce Willis or great action films in general. April has been a pretty poor month for Blu-ray fans thus far, and the disappointment continues this week. With the exception of Quentin Tarantino’s latest film, there aren’t many new releases to get excited about unless you’re a fan of Marvel’s anime projects or the 1984 cult hit “Repo Man.” Unfortunately, I’m not particularly crazy about either, and so while today’s column would have been just as easy to skip as the previous two weeks, it’s hard to ignore Tarantino’s bloody Western. Though the director doesn’t make very many films, when Tarantino does release a new one, it’s always met with the same kind of crazed excitement usually reserved for summer tentpoles, and that’s because his movies are practically big events themselves. After dabbling in just about every genre at this point in his career, it was only natural that he would eventually try his hand at making a Western, even if “Django Unchained” is more of a genre mash-up between a spaghetti western and a blaxploitation film, complete with all the musical cues, whip pans and other stylistic flourishes. The film also reveals itself to be somewhat of a buddy comedy, and this is when “Django Unchained” is at its best, delivering some of Tarantino’s funniest dialogue and anchored by yet another show-stopping performance from Christoph Waltz. By the time Leonardo DiCaprio’s charming but villainous plantation owner is introduced, however, the movie starts to lose steam. Though DiCaprio is a lot of fun to watch in the role, the second half of the film drags on for too long, and that’s coming from someone who usually welcomes Tarantino’s tendency towards excess. “Django Unchained” is propped up by a pair of fantastic performances and is filled with plenty of classic Tarantino moments, but it’s hard not to feel a little letdown, because it simply doesn’t live up to the high standards set by his previous films. Blu-ray Highlight: A review copy wasn’t provided in time, but if other sources are to be believed, the included bonus material is a bit lackluster, with only a handful of extras (including featurettes on the film’s costumes, stunts and production designer J. Michael Riva) and no audio commentary by Tarantino. It’s no secret that Hollywood saves some of its biggest guns for the end of the year, and between all the awards season hopefuls and holiday blockbusters, there’s an entire arsenal of exciting movies coming to theaters this December. While Kathryn Bigelow, Tom Hooper and Quentin Tarantino duke it for Oscar honors with their newest films, “Jack Reacher” and “The Hobbit” promise to deliver pure escapist entertainment. 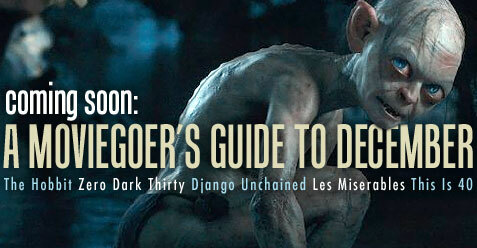 The only thing missing is a big red bow, because this is the ultimate present for film lovers. What: The story of the love affair between FDR and his distant cousin Margaret Stuckley during the weekend in 1939 when the King of England visited upstate New York. Why: Bill Murray is notoriously picky about choosing scripts, but not even he could turn down the chance to play Franklin D. Roosevelt, which practically comes with an Oscar nomination attached to it. All kidding aside, Murray is actually a pretty inspired choice to play the wheelchair-bound 32nd President, especially because Roger Michell’s film appears to be much lighter for a story that takes place during such a harrowing period in history. While it’s unlikely that “Hyde Park on Hudson” will garner the same awards recognition as 2010’s “The King’s Speech” (although the two movies would make a perfect double feature), it’s hard to imagine that it will disappoint with such a solid cast. What: Bilbo Baggins journeys to the Lonely Mountain with a vigorous group of dwarves to reclaim a treasure stolen from them by the dragon Smaug. Why: After years stuck in development hell due to the MGM bankruptcy crisis, the most anticipated prequel to come out of Hollywood since “The Phantom Menace” is finally arriving in theaters, although not exactly in the way that most people were expecting. For starters, Peter Jackson is back in the director’s chair after Guillermo del Toro cut his losses to work on other projects (and really, it’s for the better), while two movies have now become three after the decision was made to turn “The Hobbit” into its own trilogy. Though I’m not exactly sure how Jackson plans to do that (especially when Part One, subtitled “An Unexpected Journey,” will reportedly run 160 minutes long), that doesn’t make me any less thrilled about getting the chance to revisit Middle Earth all over again. What: A chronicle of the decade-long hunt for al-Qaeda terrorist leader Osama bin Laden after the 9/11 attacks, and his death at the hands of Navy SEAL Team Six. Why: The last time director Kathryn Bigelow and writer Mark Boal got together, they made the superb military thriller “The Hurt Locker,” which went on to win six Oscars, including ones for Best Picture, Best Director and Best Original Screenplay. The pair has reportedly been working on a movie about the hunt for Osama bin Laden for quite some time – so long, in fact, that they had to completely rewrite it after the al-Qaeda leader’s death in 2011 – but if there’s one film with the potential to outdo their last collaboration, “Zero Dark Thirty” is it. Though the movie is clearly much larger in scope than “The Hurt Locker,” with a lot of moving parts and an incredible ensemble cast too big to list here, if Bigelow and Boal get it right, this could be the movie event of the year.